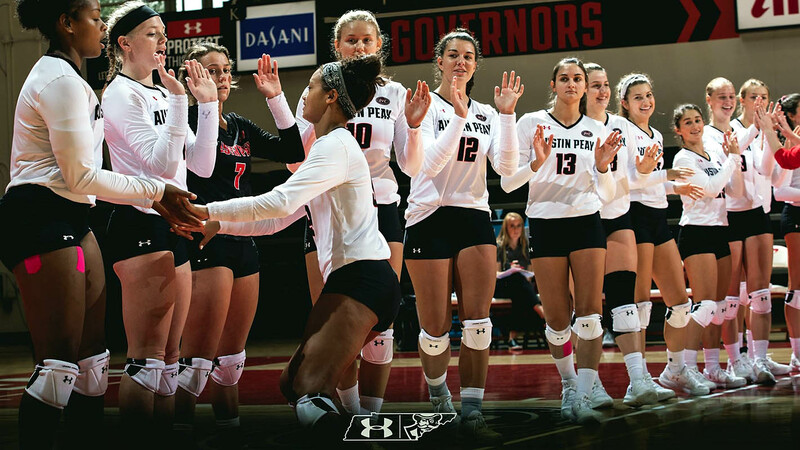 The 2018 Govs 6-0 start is two wins shy of tying the 1984 team’s record 8-0 unbeaten start to a season. It also makes APSU one of just 25 Division I teams that remain unbeaten entering the season’s third weekend. Last weekend, senior middle blocker Kaylee Taff was named the Blue Raider Bash Most Valuable Player after posting 27 kills (2.70/set), a .462 attack percentage and 10 blocks (1.00/set) in the three-match event. For the 16th time in her career, senior setter Kristen Stucker was named the OVC Setter of the Week. 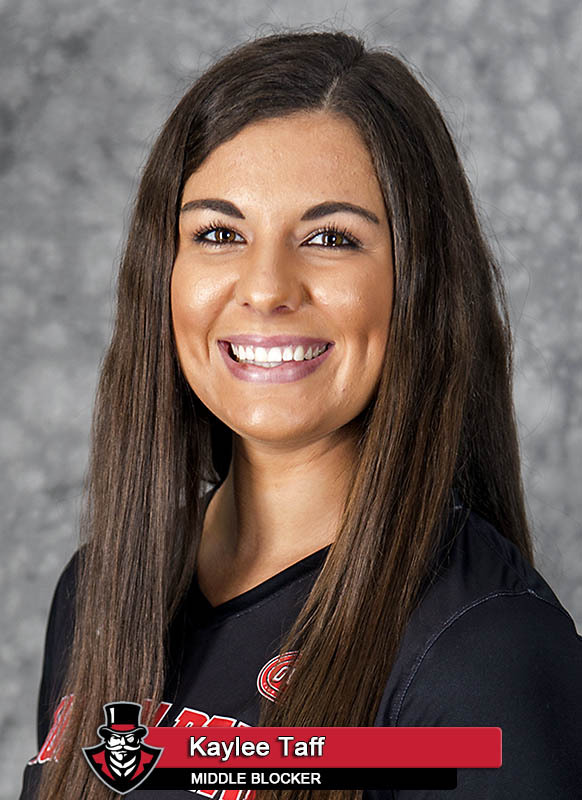 She posted 13.40 assists per set and led APSU to a .297 attack percentage in Murfreesboro and was named to the all-tourney team. Senior outside hitter Logan Carger hit .591 (13-0-22) during last weekend’s MT tournament and was named to the all-tourney team. Senior outside hitter Cecily Gable has opened ’18 in impressive fashion, setting a career high with 19 kills against UMKC during the opening weekend. 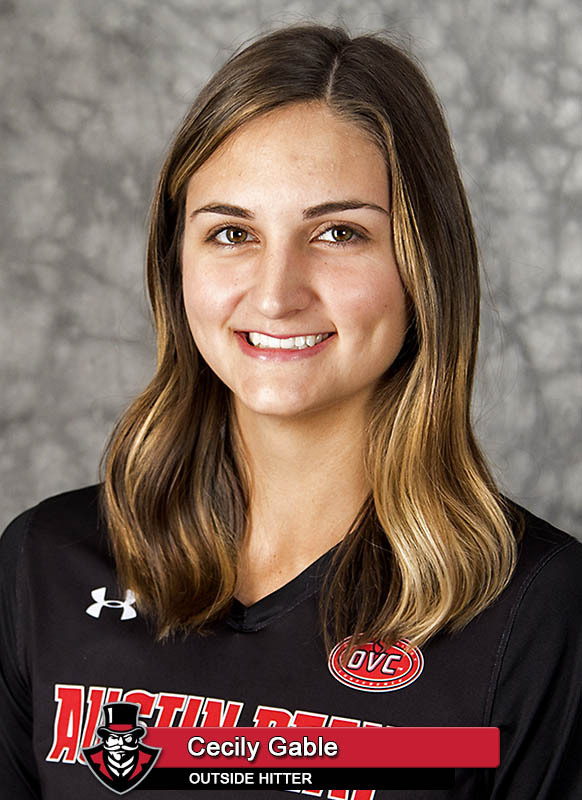 She continues to lead the Govs and is 2nd in the OVC with 4.00 kills per set. 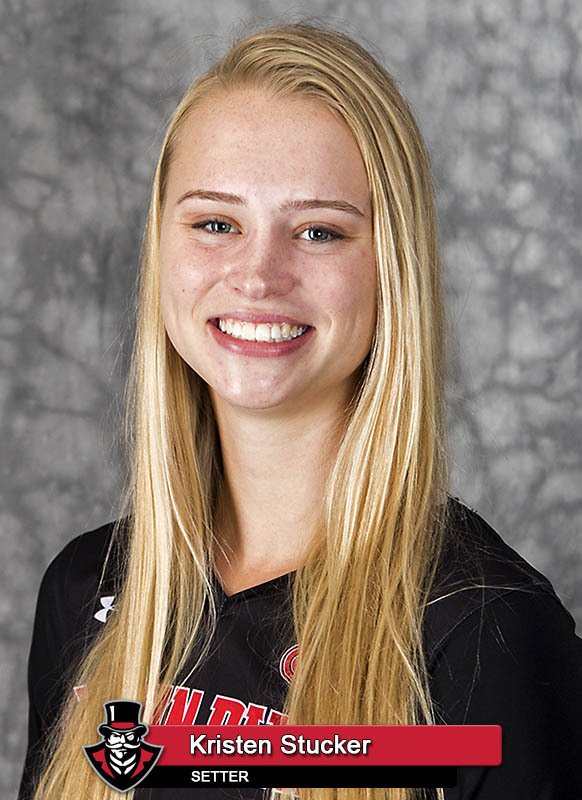 Freshman Jaymeson Kinley opened her career with a program-record 34-dig outing against UMKC. She enters the season’s third weekend ranked third among OVC players with 3.91 digs per set. Head coach Taylor Mott became the first APSU head coach since 1992 to earn OVC Coach of the Year honors. She notched her 400th career win at Tennessee Tech, Oct. 13. And two weeks later (Oct. 27 at Eastern Illinois) became the second head coach to record 100 wins at APSU. However, APSU was the top pick of more than half the voters in that preseason poll. The Govs 14 first-place votes outpaced preseason favorite Murray State’s 10 first-place votes. Junior libero Ginny Gerig should make quick work of her march toward 1,000 career digs, entering this weekend needing only 12 to reach the milestone. When she reaches the mark, she’ll become the 20th Governors defensive player to reach the milestone. 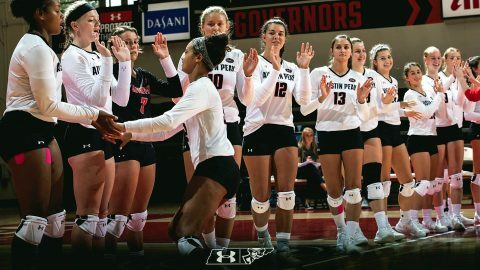 Senior setter Kristen Stucker broke Austin Peay’s single-season assists record last season and became the first Govs setter to record 1,500 assists in a season. 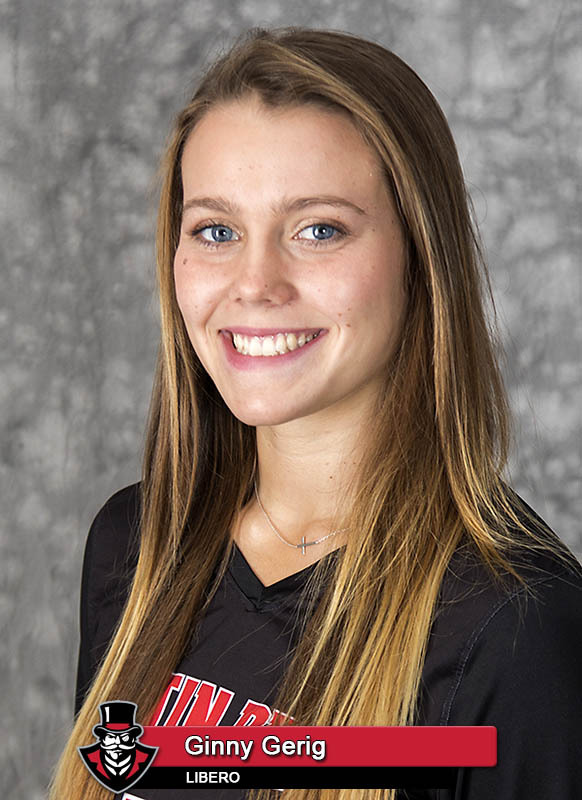 The Johnston, Iowa product now sets her sights on moving up the Govs career assists list, entering Week 3 action needing only 75 assists to move into fourth all time.